At Central Vermont Medical Center our Palliative Care team works to ensure that patients facing serious illnesses receive the highest level of coordinated care possible. 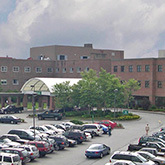 The CVMC Chapel is located on the second floor of the hospital. The Department of Palliative Care at CVMC enhances quality of life by relieving pain and other physical, psychological and spiritual symptoms in the population of patients who have advanced illness. Our Palliative team works together with the rest of your medical team to maximize your quality of life at all stages of your illness. We assist patients and families with complicated medical decisions around the goals of a patient’s care. This may include recommending medications or other treatments to manage the symptoms associated with your illness. Palliative care helps ensure that patients receive the highest level of coordinated care possible and is available at any time after diagnosis of a serious illness and can be used while receiving curative treatment. Manage pain (physical, spiritual and emotional) and other symptoms throughout your hospitalization. Manage anxiety, depression and other emotions that can affect your health. Develop and share your overall care goals. Learn about medical treatments and their impact on your long-term health. Receive clear, ongoing communication from your care team. Assist in transitions to care locations after your hospitalization. To request a consultation please tell your doctor or nurse that you would like to meet with the Palliative Care team. A meeting will be arranged with you and your family during your hospital stay. The number is 802-371-5372. The spiritual care team at CVMC consists of two chaplains who are available weekdays to support patients, their families and friends, and hospital staff. Learn more about our Spirtual Care services. A chapel is located on the second floor of the hospital. It is a quiet sanctuary for reflection, meditation and prayer. Abbey Rouleau, RN, CHPN (certified hospice and palliative nurse), graduated from the University of Vermont with a BSN in 2010. She has worked with the seriously and chronically ill in rehabilitation, long-term nursing, home care, and acute care settings. Abbey is a certified ELNEC (End-of-Life Nursing Education Consortium) teacher, and teaches full-day classes for nursing and support staff at Central Vermont Medical Center and Woodridge Rehabilitation and Nursing. Outside of work, Abbey keeps very busy raising her young daughter, Livia, working on an MSN degree at Drexel University, and spending time with family and friends. If you would like a visit from a chaplain, you can ask your nurse to make a referral, or call the spiritual care office at 371-4376. Priscilla Minkin has an M.A. in theology and an M.Ed. and is board certified through the Spiritual Care Association. She has traveled through many religious traditions, and her multicolored theology enables her to meet patients and families wherever they are on their life journeys. She enjoys swimming, reading, people, and catching the stories of all the patients, family members, and others she meets. Patsy Fortney is a graduate of the Clinical Pastoral Education program at Dartmouth-Hitchcock Medical Center. She has worked as a dreamwork counselor and is a certified Compassionate Bereavement Care counselor. She has a special interest in how we live with grief, trauma, and death and dying. When she is not providing spiritual care, she can often be found wandering around outside, sitting by a river, or walking up a mountain. The Spiritual Care team at CVMC consists of two chaplains who are available weekdays to support patients, their families and friends, and hospital staff. They are clinically trained to assess and address the emotional and spiritual needs of people from all faith traditions and no faith tradition, agnostics, atheists, and those who don’t identify with the term spiritual. Join the CVMC Knitting Group and offer the gift of comfort.